Thomas, a sixteen-year-old boy, is mysteriously sent by The Creators, the people who created the Maze, to a place called The Glade. As he first arrives into The Glade, he could not remember anything. All of his memories were gone. He could not remember where he came from, how he got to The Glade, nor could he remember his own family or last name. Everyone who lives in The Glade were all sent there for a purpose. A purpose of testing how they handle situations and their ability to work together to solve a problem, also known as The Maze. 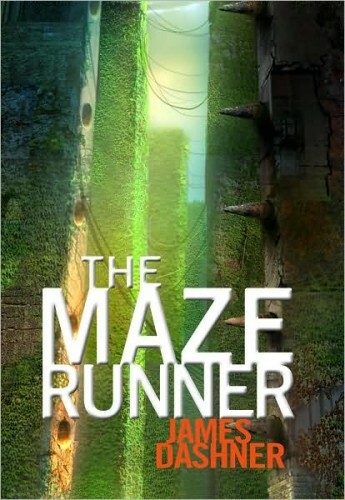 The Maze is the only known way to exit The Glade and the only way to head back to their ordinary lives. Yet after all these years, no one seems to be able to neither solve The Maze nor come close in finding the exit. The Runners, people who map and run the maze, spends years mapping out the whole entire maze, trying to figure out a way out, yet seize to achieve their goal. As Thomas deepens his knowledge about The Maze, he becomes more intrigue and curious about it. His interest in The Maze leads him into unlocking clues and codes that were unknown and unseen to the other Runners. Throughout the story, he struggles to find the solution to their problem. But in the end his non-stop hard work and perseverance pays off. Before reading The Maze Runner by James Dashner, I had high expectations toward the book after hearing how much others enjoyed the book. As the story began, the vivid descriptions throughout the entire story prevented me from placing the book down. The details were enough to keep me wondering about what was about to happen next. Some questions that occurred to me were remained unanswered till towards the end of the book. Certain points in the story kept me on the edge of the seats, feeling nervous for what was about to come. But overall, it was an incredible book filled with great details. The­­ book was not extremely hard to follow or understand, so I would recommend it to twelve to sixteen year old. Even if I could go back in time, I still would have picked this book because it is worth your time reading. Overall, I would give this book eight star out of ten. 1a. The main characters are Thomas, Chuck, Newt, Alby, Gally, and Minho. 2. What is the Glade? 5. What does the runners do? What are their responsibilities? 6. What does the Griever look like? 7. How did they survive in the Maze overnight? 8. Where did they get the serum to cure the people who got stung by a Griever? 9. What is Gally’s opinion or thoughts toward Thomas? 10. What makes the Maze so difficult to solve? 10a. The Maze is difficult to solve because, the walls move every night. The Maze stretches for miles and miles and has a massive size. The routes changed with the movement every night. The walls move at the same time the doors close. The Maze’s patterns repeats themselves every moths. There is one through eight sections and they stay at the same exact spot. Only the routes changes the location of the sections stay the same. 11. Is there some sort of code to the maze in solving it? 12. What is Thomas’s theory on solving the maze? 13.How did Thomas figure out the “code” for the maze? Or test his theory. 14. Why did Thomas want to get stung by Grievers? 15. What is the purpose of the Maze?